Bloggers using Statusreel will now have the upper hand over others. Statusreel, a well-known Facebook widget, is now ready to improve the visibility of blogs by a desirable percentage. This makes online connectivity a lot better for the world. Blogging is now considered as one of the longest trends in the World Wide Web. It reigned for so long that some blogs before can still be activated today. Since many people rely on content rather than outright advertising, the industry of blogging bloomed. 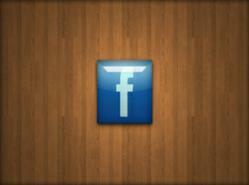 Statusreel, a simple yet advanced Facebook widget, enters the blogging industry without hurdles. The developers of this widget understood the growing need for better blogs. Making a blog is relatively easy compared to a website with complicated commands. Free blogs are also easy to use because they are maintained by a specific host. The blogger can just focus on making content and adding widgets. However, a good blog is powerless without online visibility, and many people fall victim to this. Statusreel is the professional solution to that problem. It may be another widget, but its rate of connectivity is high. The function of Statusreel is simple—it tracks down Facebook statuses through the means of keywords typed in a search bar. For example, a user can type ‘animals’ in the search bar. Within seconds, people who used the keyword will appear in the feed. Their profiles are clickable, so the user can send out invitations right away. There are also some categories that can be explored. These categories display the best statuses for Facebook collected by Statusreel. The statuses can be used anytime. There are also some keyword tags optimized according to their popularity. These tags guarantee immediate results. Once Statusreel is embedded to any blog, the chance of improved visibility is doubled. This is because of the fact that visitors will now have the opportunity to add more people in their roster of friends. Some bloggers stated that finding statuses has never been more fun. A study also indicated that bloggers who used Statusreel gained more friends after a week of continuous usage. Embedding Statusreel takes only a few seconds. This is to maximize time and produce immediate results. Bloggers, especially newly-registered ones, are advised to visit the Statusreel website to learn more.